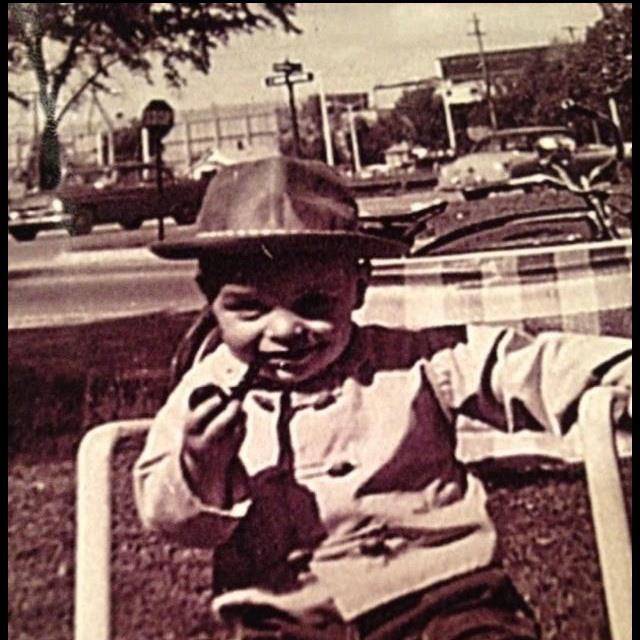 Flint Expatriate Rick Gerow in the front yard of his house in 1959, trying out his dad's pipe, probably purchased at Paul's Pipe Shop. That's Fisher Body, site of the Sit-Down Strike in the background. Thanks for the great photo, Rick.